In Telephones > Telephone Signs > Show & Tell and Signs > Porcelain Signs > Show & Tell. Predecessor of Indiana Bell. Also operated in parts of Ohio and Illinois. 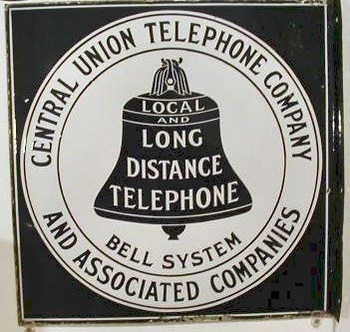 1908 logo. 18" X 18", I would be interested to know of other CU signs.